Mr. Steven Sanders is a Physician Assistant. Mr. Sanders earned his Bachelor of Science in Biological Science from California State University Fullerton. He went own to earn his Master’s Degree from Western University. Mr. Sanders brings with him extensive experience. In addition to his seven years experience as a Physician Assistant, Mr. Sanders served as a LASER technician and operations manager. 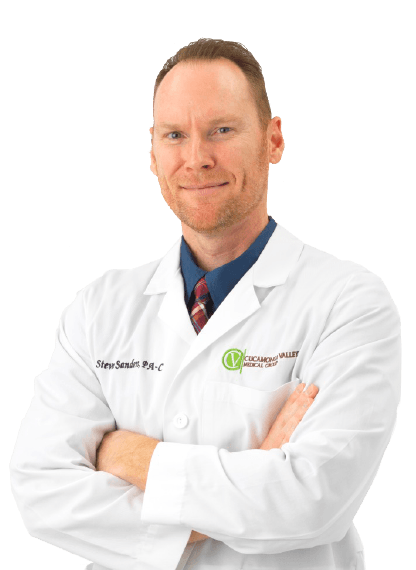 It’s this variety of experience that gives Mr. Sanders a well-rounded approach in his medical practice. When Mr. Sanders isn’t serving his CVMG patients, he spends his time as a graphic designer.